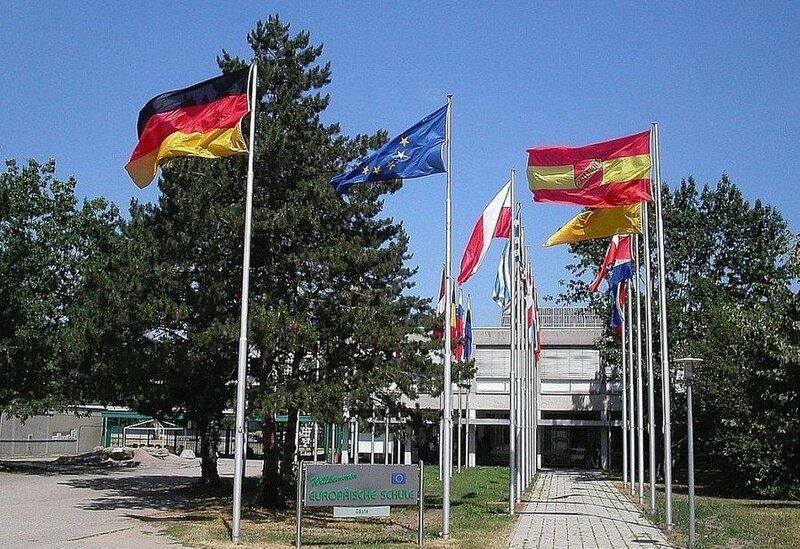 The European School Karlsruhe (ESK), situated in the Karlsruhe suburb of Waldstadt, is one of 14 European Schools to be found in the locations of EU institutions all over Europe. Originally founded in 1962 to provide education for the children of EU institution personnel, the ESK is an intergovernmental organisation. The European School Karlsruhe also offers places to children whose parents do not work for a European institution. Nearly 900 pupils, from over 40 nations, are taught in almost all 24 official EU languages. Led by the Director, Mr Daniel Gassner, there are around 180 members of staff from the 28 EU countries. The catchment area stretches between Strasbourg, Heidelberg, Mannheim, and Stuttgart. Also on the premises is the day-nursery Polyglott, run by the AWO, and open to children from 3 months old. Like all European Schools the ESK aims to educate its pupils throughout the Kindergarten, Primary and Secondary levels in the three main language sections German, English and French. Three language sections (German, English and French) all the way through in the Nursery, Primary and Secondary with the European Baccalaureate as Diploma. Multilingual education in all EU languages represented as mother tongues, multicultural teaching by mother-tongue teachers is therefore guaranteed. The internationally recognised European Baccalaureate, which is taken at the European School Karlsruhe, is based on a high level of linguistic and scientific knowledge and opens up courses of further study worldwide.